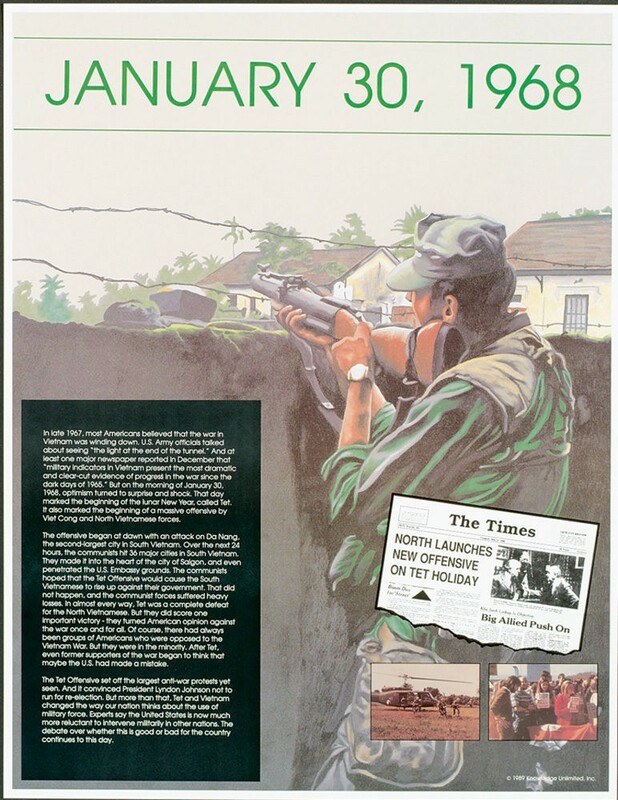 This unique educational poster focuses on a single day that changed American history -- North Vietnam's Tet Offensive of January 30, 1968. 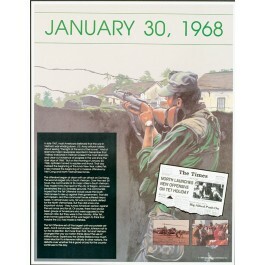 The poster features a striking illustration depicting the fighting in the Vietnam War, as well as a newspaper headline, and historic photos. It also provides a clear summary of the events leading up to that day, and its immediate and long-term impact on the Vietnam War, and American history and politics.